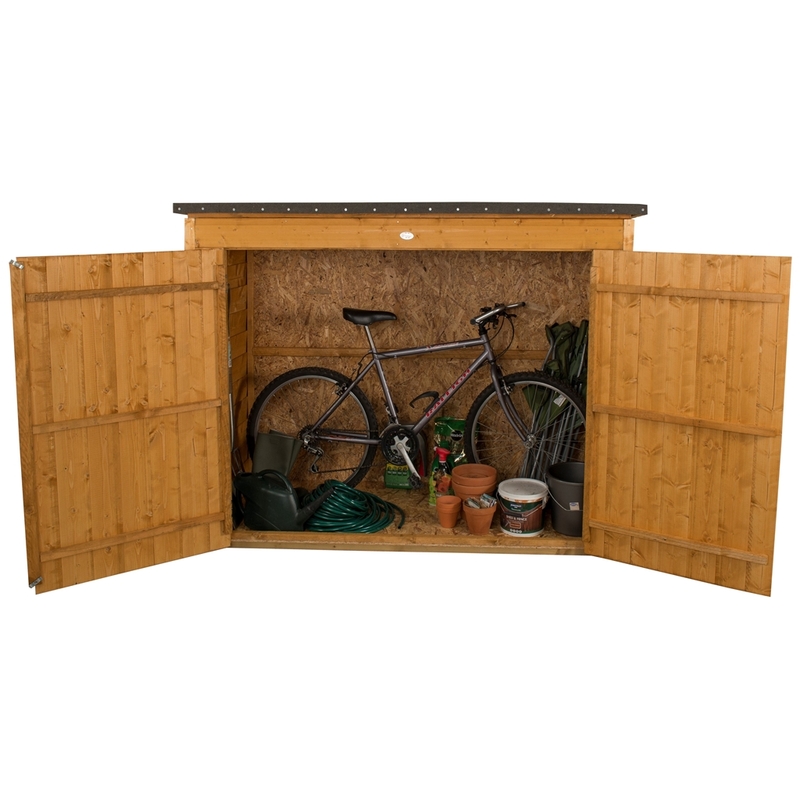 This Large Outdoor Store is a practical and affordable storage solution, offering a lower height alternative to a shed. 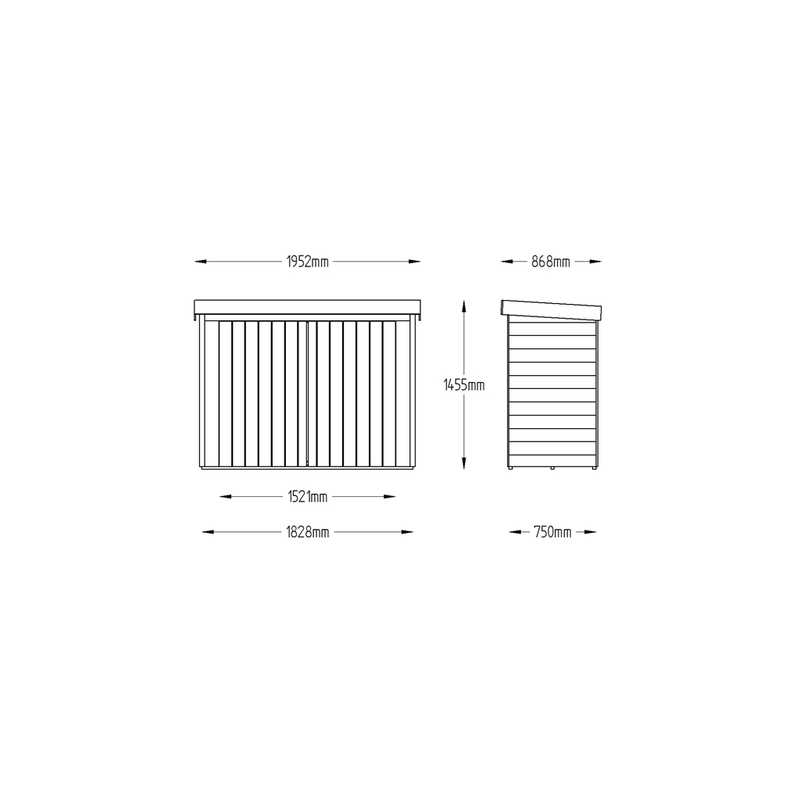 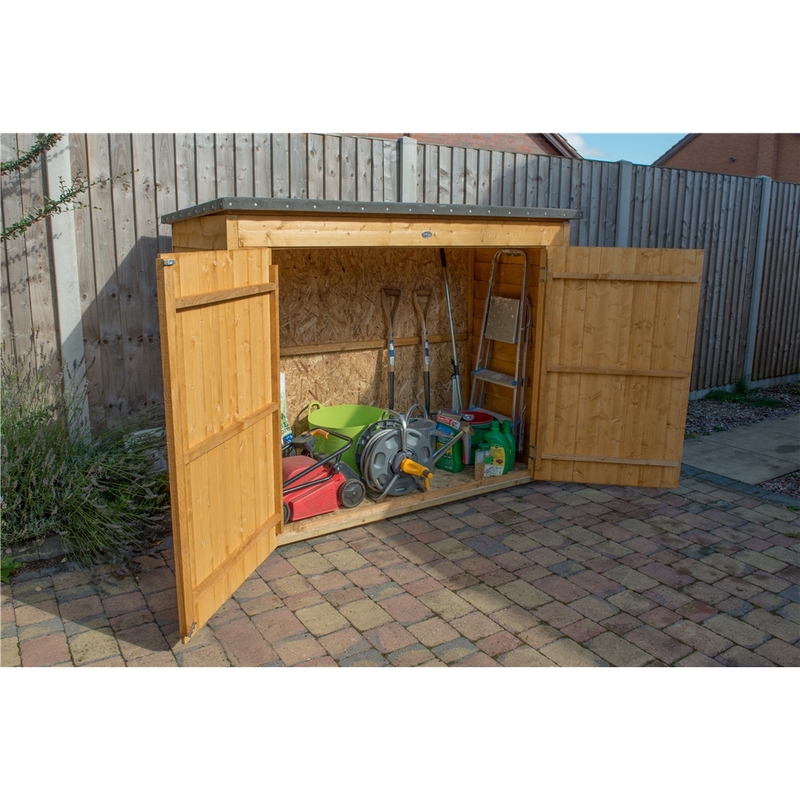 It is an ideal storage unit for barbeques and larger garden equipment, or perfect for use as a mower store or bike store. 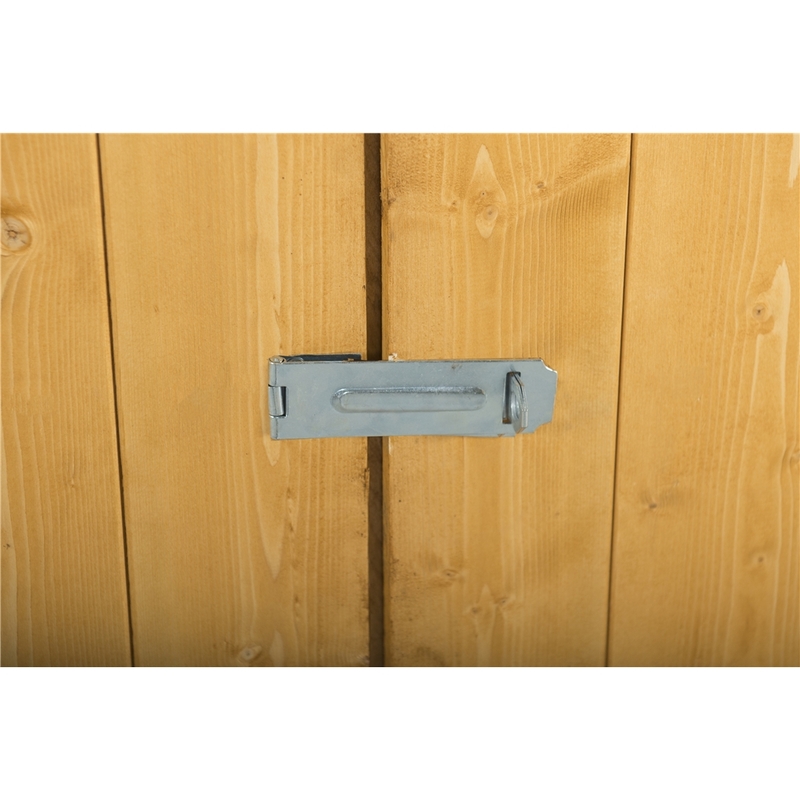 The double doors offer easy access to the spacious 2000 litre interior and contents can be locked secure with the use of a padlock on the plate hasp and staple latch. 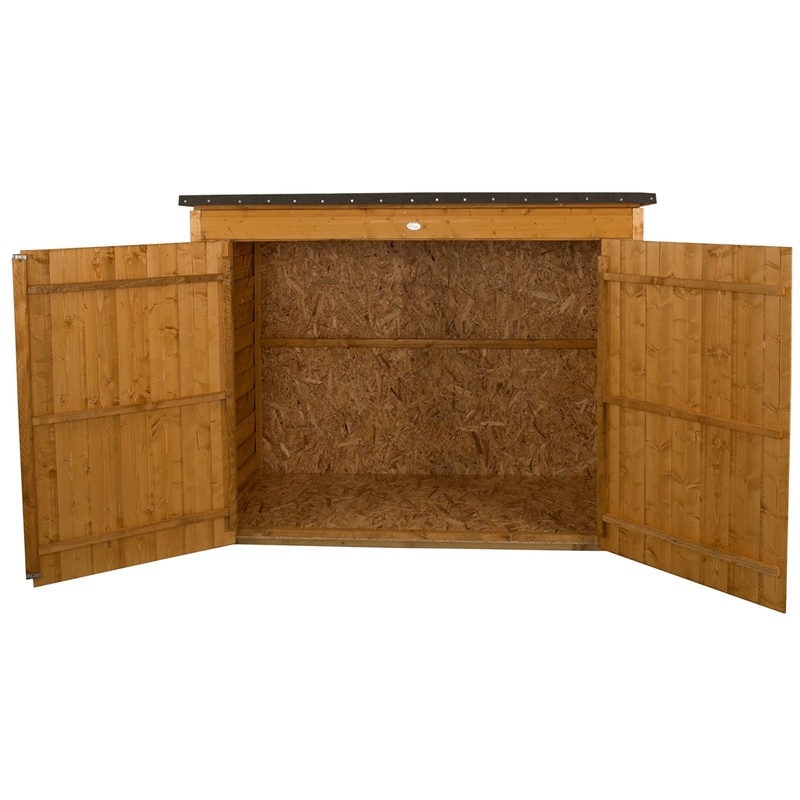 Made from traditional overlap panels, this versatile unit is mounted on Pressure Treated bearers to prevent damage from standing water. 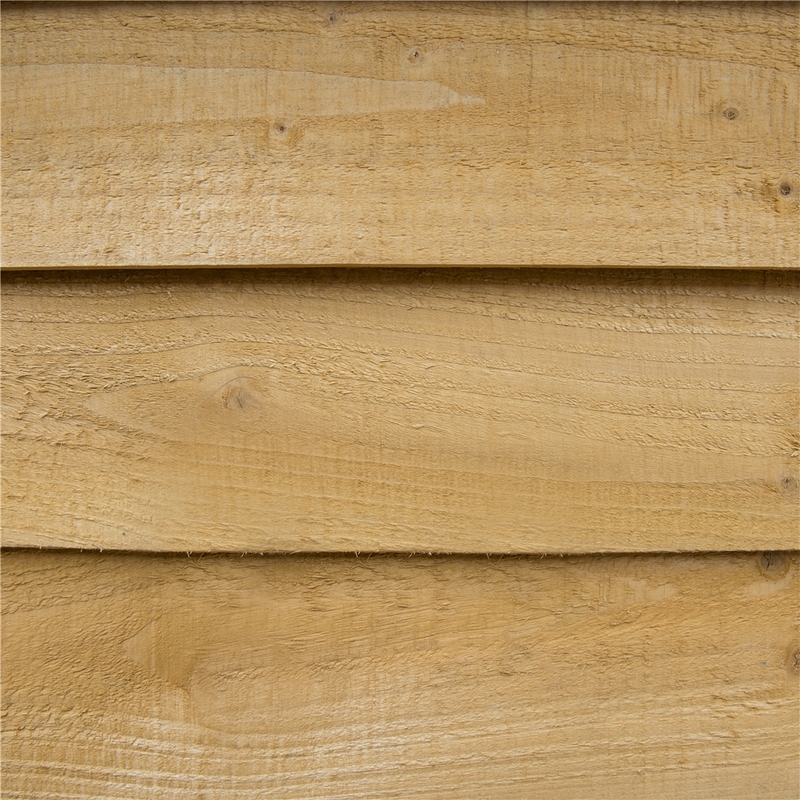 The timber is Dip Treated to give a 10 year guarantee against rot and fungal decay. 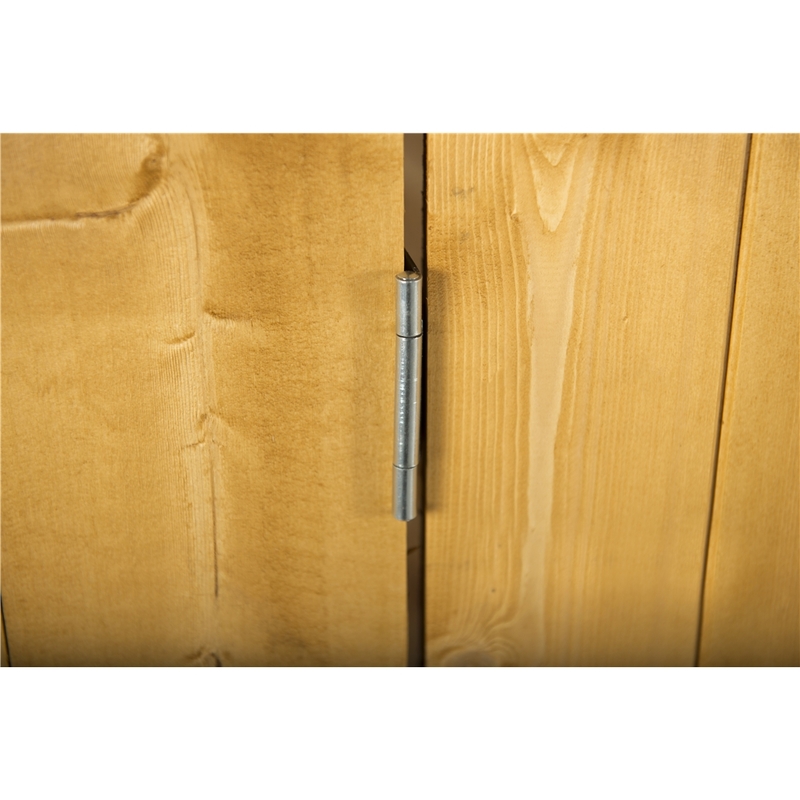 The Large Outdoor Store has a golden-brown finish. 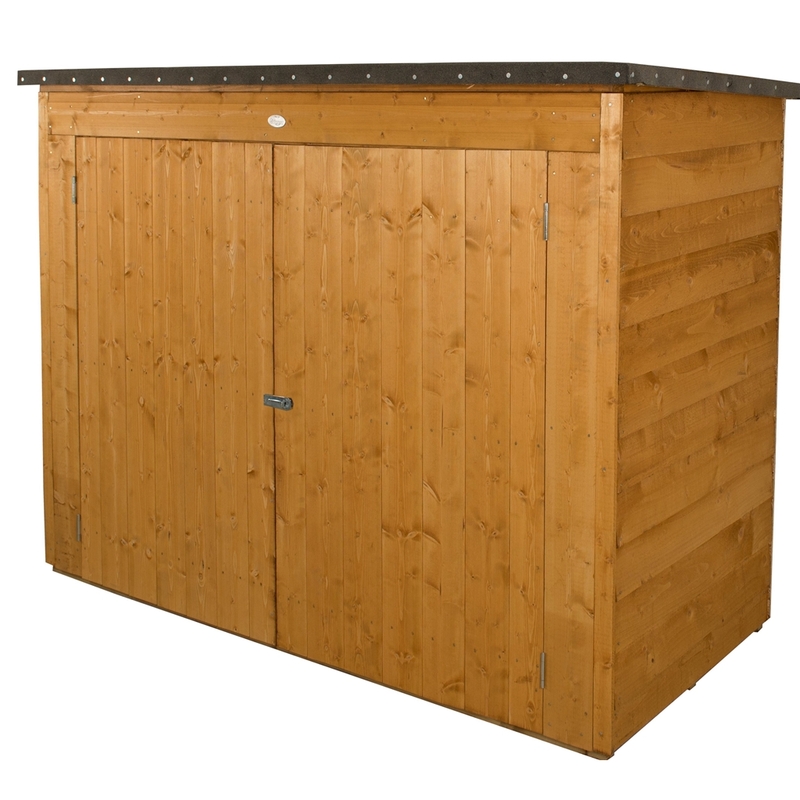 The front panels and doors utilised smooth-planed shiplap tongue & groove boards and the roof is finished with smooth-planed barge boards. 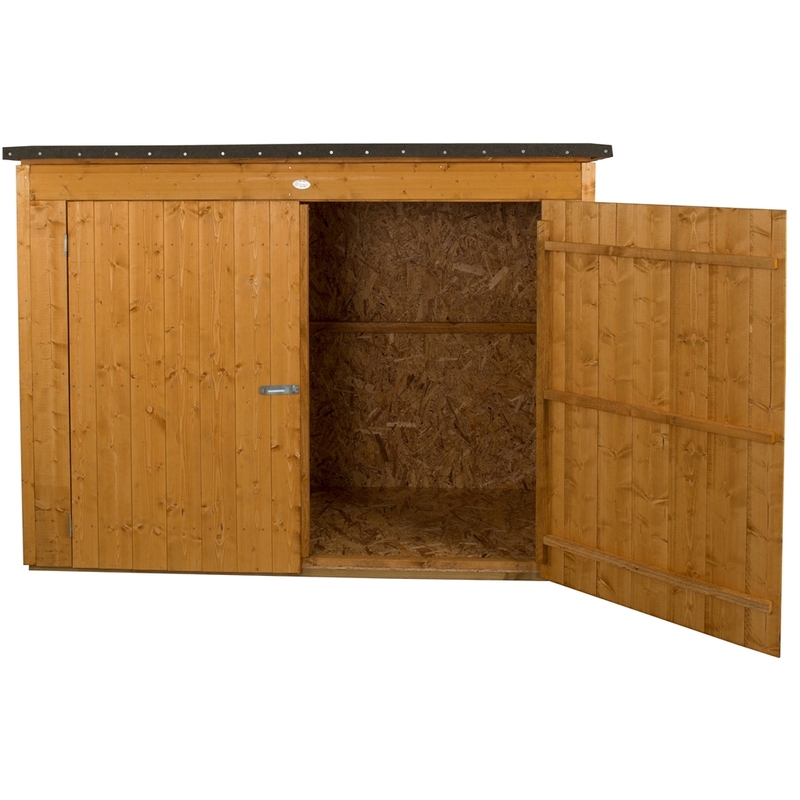 Clever design means the Pent roof can be assembled sloping back or forward depending on preference or position.